The first part of today’s drive is again through the Sierra Madre Sur, the southern part of the Sierra Madre Occidental, before a flatter terrain crossed into the State of Colima. This time, the attraction is to spend the night in view of the Volcan de Colima that was reported on the BBC News as erupting, briefly pushing the Trump inauguration into the background as I was preparing the details for this trip. The spectacular image below is from the internet and is what we hoped to see. 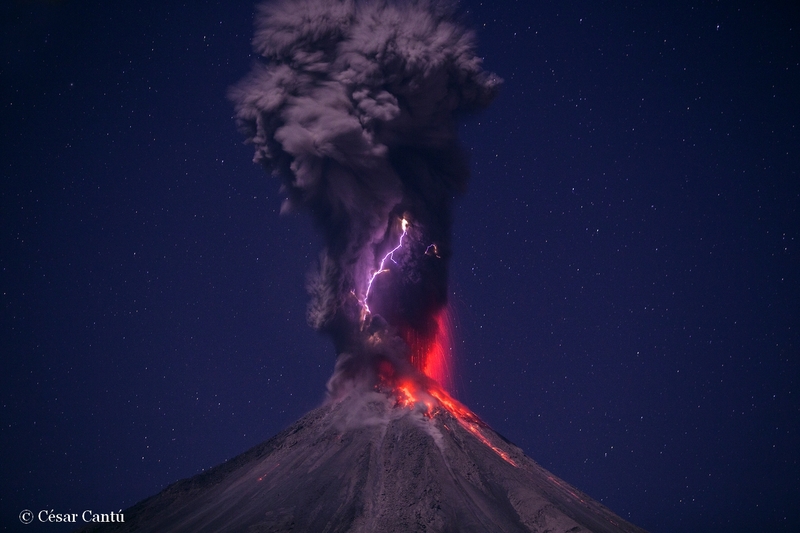 Image of Volcan Colima erupting Copyright Cesar Cantu. As an educational exercise, I can report that once we were out of the mountains, the state is covered in banana trees. It seems that several of us have managed to catch an Airport / flight cold. I’m OK so far, but there is no escaping such bugs in the confines of a car.